When Moslem fundamentalists blow up a key Soviet oil complex, making an already critical oil shortage calamitous, the Russians figure they are going to have to take things into their own hands. They plan to seize the Persian Gulf, and more ambitiously, to neutralize NATO. 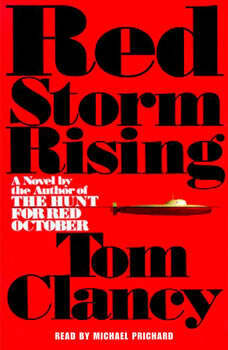 Thus begins Red Storm, an audacious gamble that uses diplomatic maneuver to cloak a crash military build-up. When Soviet tanks begin to roll, the West is caught off guard. What looks like a thrust turns into an all-out shooting war, possibly the climactic battle for control of the globe.